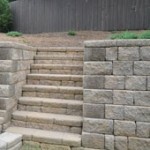 Metrolina Landscape employs skilled crews to install all types of retaining walls. 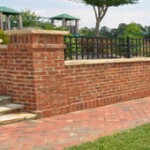 We are able to provide a wide range of wall types from cost effective modular block walls, to brick or natural stone. 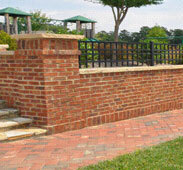 Our designers have over 20 years experience creating aesthetically pleasing garden walls. For walls that exceed 4 Ft in height we use a civil engineer for structural design and a testing agency to ensure the wall is built to local building standards. Walls that are partially submerged in water. 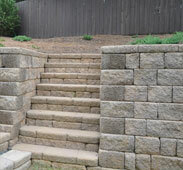 Multi tiered walls to enable planting on various levels in order to provide a more attractive and functional space. 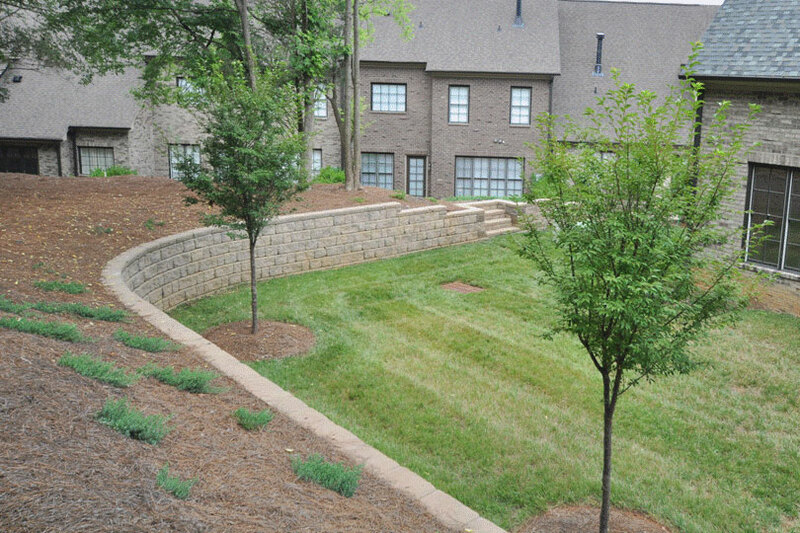 We install walls in difficult situations using extreme care when working around large trees and close to building foundations. 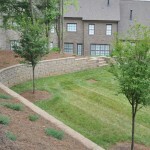 We have even constructed a retaining wall to protect a native Indian burial ground that had been disturbed.